Order your Faber-Castell Writink Print Rollerball today from FahrneysPens.com. Fine Pens, Refills & Luxurious Gifts – great prices & fast shipping. Thumbs up for the new Faber-Castell WRITink series. 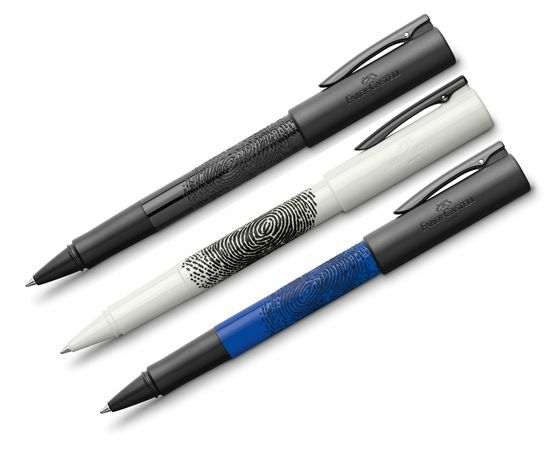 Thanks to the painted finger print on the grip, these pens create a cool and unique writing experience, whether taking notes, doing homework, or simply looking to impress. Since it also offers an exceptionally comfortable writing performance with a black spring loaded metal clip, it is sure to become your new favorite companion. Available in a fountain pen with a steel nib, capped rollerball pen and twist ballpoint pen.